Evgeni Malkin and his Fiancee Anna Kasterova (spelt Kasterovoy in Russian) welcomed their first child this morning at 11:45am. The soon-to-be-Malkins welcomed a baby boy into the world this morning. The couple recently made news when they reportedly registered for a marriage license at the conclusion of the Pittsburgh Penguins Eastern Conference Finals series against the Tampa Bay Lightning. The news of Kasterova's pregnancy was largely able to be kept out of the publics knowledge but the world learned of the couples first child when Russian news source KBMMG posted about the couples birth of a baby boy. The news caught on quickly. The couple had been dating for two years before getting engaged in November. Now they have reportedly applied for a marriage license and were blessed with a baby boy. 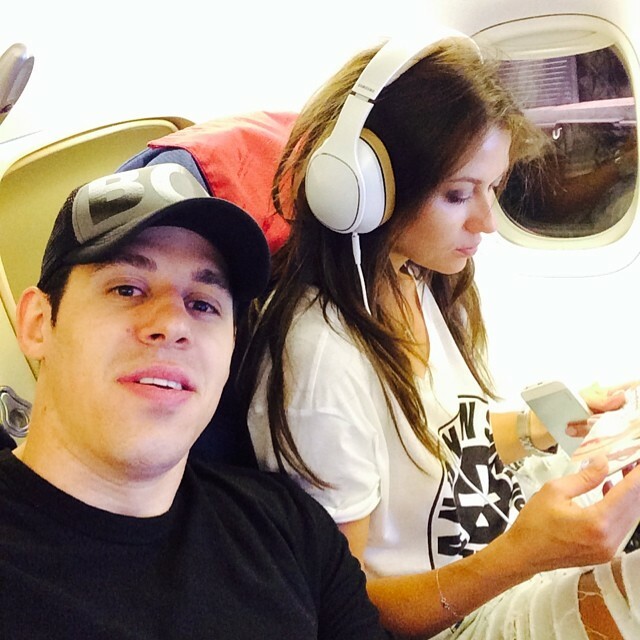 Congratulations to Evgeni Malkin and his Fiancee Anna Kasterova on the birth of their baby boy! Evgeni Malkin's former Kontinental Hockey League team HC Metallurg, or Metallurg Magnitogorsk, posted a picture of the Malkin families new born's Record of Birth on their Instagram account. The newest addition to the family is officially named Nikita Malkin. Наши искренние поздравления Евгению Малкину и Анне Кастеровой! Здоровья Никите, счастья молодым родителям! Урааааа! :)) // Our congratulations!